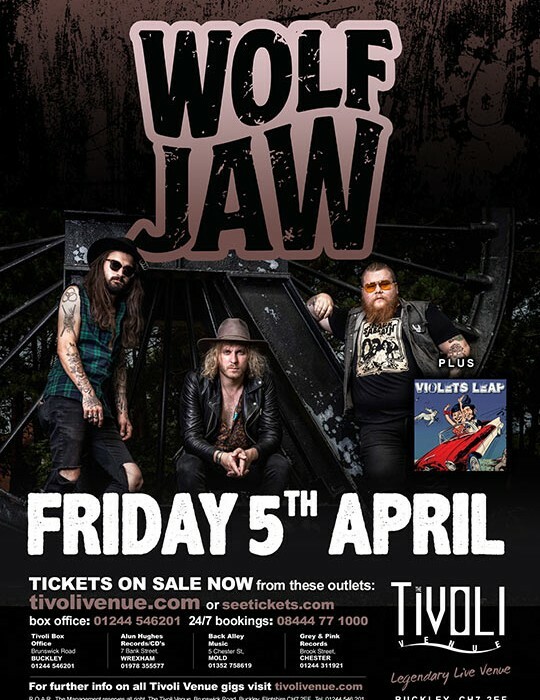 Wolf Jaw is the new name for The Bad Flowers who formed from the depths of The Black Country (Cannock) in 2014 comprised of Lead vocalist and guitarist, Tom Leighton, who’s riffs, fuzz emotive guitar and pure vocals have distinctive sound unlike anybody else. Bassist, Dale Tonks, provides a deep heavy groove and tasty bass runs that under pin Karl Selickis’ chest pumping drums and impeccable feel. The combination of the three makes The Bad Flowers a force to be reckoned with, forging a sound steeped in the raw, passionate energy of the Black country’s 70’s heroes but all the time keeping it in this century. Plus support from Violets Leap. SKU: WFJ_190405. 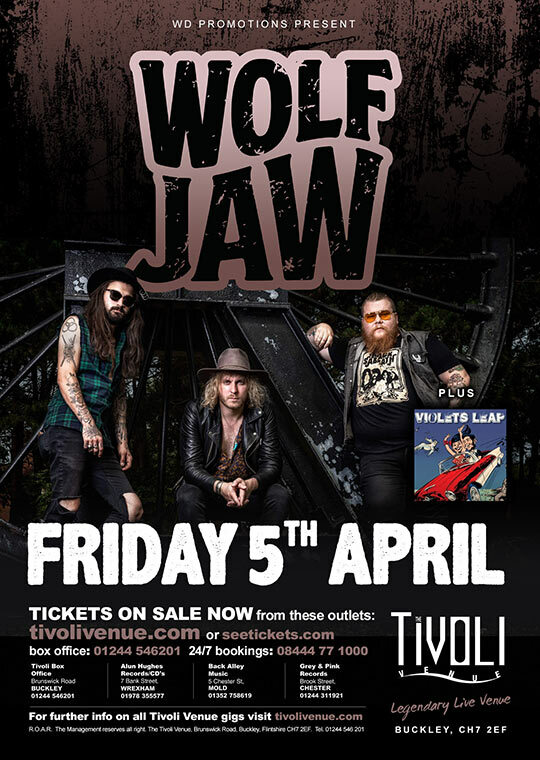 Category: Wolf Jaw Tickets. Tags: Heavy Rock, Rock, The Bad Flowers, Violets Leap, Wolf Jaw.